Alberto Gonçalves da Costa, or Beto, is a Brazilian born player who became an Indonesian International this year, at the age of 37. 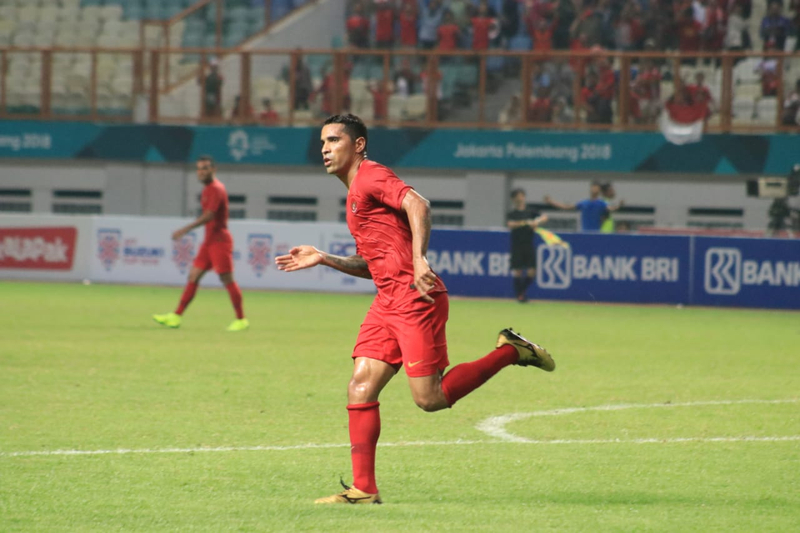 Very committed to his new national team, he has already made a mark in the first two friendlies in which he has played, being involved in all four goals scored by Indonesia. "All things come to those who wait". This expression fits perfectly to Alberto Gonçalves da Costa, known as Beto. The Brazilian born striker became an Indonesian international player in February this year at the late age of 37. "For footballers, their highest achievement is when they get a chance to play for their country. Now I have become an Indonesian citizen, of course I am proud of this calling", he said back then to Indonesian media. After having played a couple of games and scored three goals with the U-23 team in spring (as part of the quota of three over aged players), Beto was called in October to the "A" team. And so far, he has not disappointed. Against Myanmar on 10 October, he scored the opening goal on a brilliant header. But maybe even more impressive is how he set up his striker for the second goal: after controlling nicely on his chest on the right side of the box, he completely nullified his defender thanks to a marvellous back heel, which Irfan converted. And you might think he had enough for this game? Not exactly... He was again heavily involved for the third of his team's goals. On a counter attack, he hit the post and from the rebound, Irfan again could score the last goal of the day. Beto started his career in Brazil in 1999 Sport Belem in Brazil, and played for about 10 different clubs in his home country, before trying his luck in Indonesia in 2008. He signed for Persijap Jepara but his very first successful season was with Persipura Jayapura: in his first season in 2009/2010 he scored 18 goals. He had a few spells at different clubs in Indonesia, returned to Persipura Jayapura and in 2016, signed for Sriwijaya. Happy in his new club, he scored 85 goals in 58 games. With such a success, and after 10 years spent in Indonesia, he was finally called up to the national team.